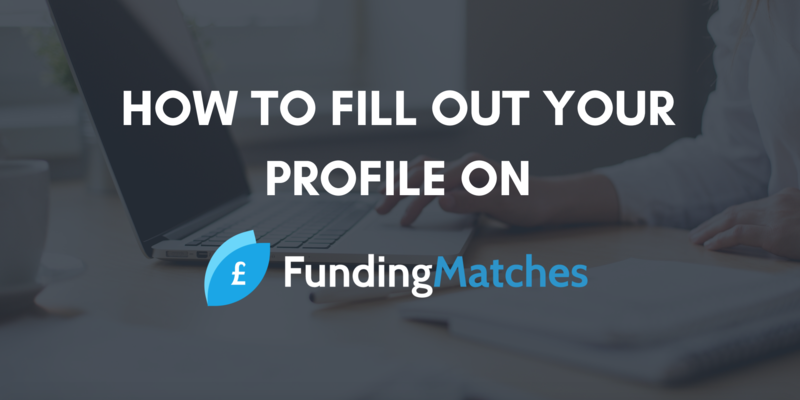 There are various parts to the Funding Matches profile. We want to make sure that you are equipped with the tips you need to fill your profile out fully, get approved and ultimately match with the best investor(s) for you! Below we have outlined each section and provided some examples and questions to think about as you answer each part. What are the things within your company that absolutely need funding for them to grow? Outline them in your Excel spreadsheet. Also, be sure to include what this will help you to achieve, even if it might seem obvious. Some things might not help you achieve anything! If this is the case, consider whether you need this. Now that you have a list of what you need funding for, break down how much each would need for each. With this, it’s important to be realistic. Do some research on how much typically spend on the things you have listed. Are you making an app? How much do people spend on an app? Are you building a prototype? How much will the parts be that go into building it? On your Excel spreadsheet, add up all the cells that have numbers in them. This number is how much funding you need. Compare this number against your valuation and how much funding you have obtained already, including funds that you have put into the business. How does this number look amongst the other numbers? This is the time where you need to show what makes your business the one that investors need to invest in. When typing your descriptions, it’s important to use proper grammar. A description with numerous typos and grammar mistakes won’t look favourable to investors. When explaining the problem or gap in the market that your product is addressing, demonstrate that there is a real problem using data. Don’t use this place to explain how your product is addressing it. Save that for the next section! Now that we understand that there is a problem or gap, explain how your product or service is addressing it. Perhaps there are other products that are trying to address this issue, but they have shortcomings. Describe how you are the best to address this problem or gap by outlining the key features and what their functionalities do to combat the problem. Let yourself be inspirational and uplifting in the overarching goal question. What is your mission? Your vision? Include both within this question. This demonstrates to investors that you are passionate about your business and are looking at the big picture in the future. This section is all about research. Knowing your competition is vital when looking for funding. We would advise against saying that there is no one like you, as there is a chance that someone is quite similar! The best way to go about outlining your competition is to create a list of each feature that your product or service has. Next, put the names of your top three competitors along the top of the page. Put checkmarks next to each feature of yours that your competitors also have. What spaces are left unchecked underneath each competitor? This will come in handy when you are describing the differences between your product and each competitor. This portion outlines who you are targeting with your product or service. In other words, who are you perfect for? The ‘market you are addressing’ is a general statement when comparing it to the target audience. The market you are addressing could be ‘cell phone users,’ ‘public transportation users,’ ‘TV watchers,’ etc. When speaking about the target audience, this gets more specific. This can be something like ‘millennials in London,’ ‘all females in North England,’ ‘parents of children under the age of 6 in London,’ etc. Be specific with this. Keep in mind that your audience could change as you evolve! However, for now, find a market that is accessible given your resources, location and expertise. As you begin to grow, you can tap into more markets. Customer acquisition and retention is vital for your business. We found this guide to customer acquisition very useful. Incorporate some of these tactics into your plan. In regards to your marketing channels, think about where your audience is spending their time. Are they on Instagram? Pinterest? Are they listening to the radio? Commuting on public transportation? Think about where their eyes go during a regular day and put your marketing there. This section is straightforward. However, some might not consider advertisement placements as a revenue source. It is! Think about Facebook. All users join for free, but their revenue is generated using Facebook advertisements. If you have a platform that has enough traction to where third parties would want to advertise on it, utilise this source. For your cost structure, it’s important to think about all types of costs, including rent and utilities if you have an office building. Where is the money going? Keep your bills organised, and keep track of how much running your business is costing you. Since you began your business, what are the things that you have achieved? These achievements can be both internal and external. Has your product been approved after months of testing? Has it launched in an area? Did someone feature you in a newspaper, magazine, social media post, etc.? Boast about your achievements here to show investors that there is momentum behind your business. With traction, this is where you should put the current users of your product or services. Don’t have any current users yet? Bring a prototype with you, conduct a study to see who would use your product or service and write down their feedback. In all, you need to demonstrate a market need by testing out the market. This section is where you prove that your product is scalable. This could mean releasing new versions or launching in new cities and/or countries. Regardless, you need to show investors that they will be able to stick with you for years to come because you have a plan to take over the market with your product. Finally, what’s your long-term goal? IPO? Exit? Merge? There is no right or wrong answer here. Some investors want to see ‘exit,’ while others aren’t concerned about it. Be honest about what you want this business to do 10 years or so down the line. To complete your profile, you will need to register with a Business Funding Club membership. We offer two types: Digital and Business. The Digital membership only provides access to FundingMatches.com, while the Business membership provides access to exclusive events, pitching opportunities, discounts on fundraising strategy service, discounts on partner services and memberships and more. If you want to compare, take a look at our memberships page here.